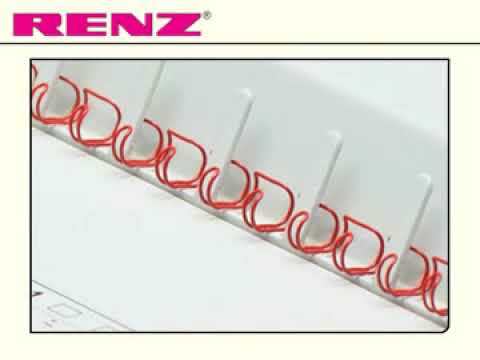 The RENZ Private Eco is a low end combined manually operated punch and closing machine for One Pitch® wire comb binding in 2:1 pitch. The Private Eco is the entry level model for manual punching and binding of A4 and A5 formats and is ideal for home use, punching up to 12 sheets (1.2 mm) and binding up to 135 sheets. The Private Eco has adjustable side stop and a wire holder for the binding elements. Comfortable and easy inserting of the pages is achieved and the machine produces secure, dimensionally stable binding. Designed in Germany.